Considered the “coolest place to live in London,” Dalston rentals are in a market that is an eclectic suburb where wealthy City professionals live side by side with creative types. Furthermore, it’s been home to the long-established Caribbean and Turkish communities for many years. 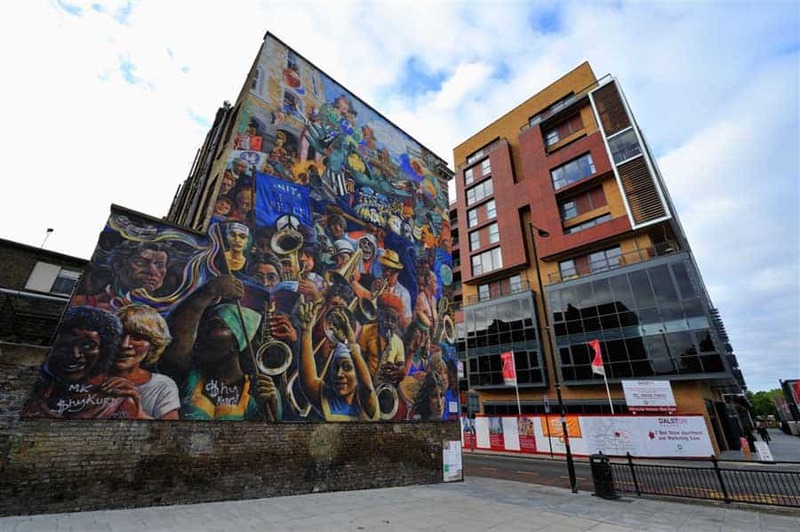 With immigration coming from Jamaica, Turkey, Vietnam and Poland, this modern-day Dalston region is a bustling multi-cultural area with a new wave of regeneration. Dalston rentals have a variety of properties, which includes charming, flat fronted early Victorian villas and terraces. Other Dalston rentals are mid-Victorian terraces, converted industrial buildings, estates of social housing and newly built apartments. Dalston rentals are very popular with young renters. Many come for the lively nightlife living and enjoy the best of this East End hotspot. On the other end, the multicultural expatriates who have set up shop in this village keep their roots active in this community unwavering in their love for their longtime home. As Hoxton and Shoreditch become ever more expensive, the younger generation is moving further up the road to the Dalston rentals for a more inexpensive yet happening area to reside. Home to many hipsters and trustafarians, the ever-fashionable Dalston is a divide between the new middle-class arrivals and the ethnically diverse local community. Dalston rentals recent surge in popularity has brought with it all manner of trendy bars and cafes, which seem to be an excellent addition to the Turkish and Afro-Caribbean shops that have called Dalston home for years. From the blooming community gardens, fringe theaters, bustling restaurants, and lively late-night bars; the Dalston rentals market offers a unique setting to reside for all walks of life. Want to know more about Dalston Rentals? With a large Turkish population, it wouldn’t be right to go out for dinner in Dalston and ignore the slew of authentic kebab eateries. Voted one of the best by the locals, Mangal Ocakbasi is the place you’re sure to find the best sizzling kebabs. With an inexpensive price point, this proper Turkish establishment is well-loved for not only the food but the BYOB (bring your own booze) policy as well. Dance Tunnel, located on Kingsland Road, is one of London’s best club venues if you’re into the house and techno scene. Open until four in the morning on the weekends; this hidden gem is the place to be to get in your late night dancing. With cheap drinks and loud music, this club is widely popular with the younger crowd of Dalton. Located on the High Street, LN-CC, a luxury fashion boutique, is a favorite amongst those who have an eye for high-end designer goods. With a warmly-lit geometric wooden entrance greeting you, at first sight, it’s obvious that LN-CC is no ordinary boutique. While they specialize in designer clothes, music, and books, it also houses a club space for private events and contains a gallery and a bar. Also on the High Street is the Ridley Road Market. Rumored to have been the inspiration for the UK soap Eastenders, this indoor market offers a cornucopia of fresh fruit and vegetable stands, a twenty-four-hour bagel bakery, and a Turkish supermarket. With sounds of reggae music playing in the background, this unique market also offers colorful fabric stalls and exotic produce. Roof Park, a roof of a former factory transformed into an amazing Astroturf event space, is a Dalton hot-spot amongst residents. With pop-up bars, picturesque views of London, and a calendar chock-full of summer events, it’s no wonder why this location is always happening. Including outdoor plays and BBQs, this well-loved spot is the place to be on a sunny day. Roof Park is completely free to visit, just pop into the ground floor gallery and pick up a membership card. For the perfect place to cool off on a hot summer day in the city, the London Fields Lido is an Olympic-sized swimming pool that’s open year-round to residents. Facilities include a cafe, a large sunbathing deck, and of course, the pool itself. Swimming lessons are offered for those who would like to teach their children how to swim, or for those who simply would like to get lessons themselves. Not only is Dalston only 4 miles from central London, but it’s also very well connected transport-wise. Although there is no tube station, multiple overground rail stations are readily available meaning that Liverpool Street is just a quick 11-minute jaunt away.